Mark Juergensmeyer is director of the Orfalea Center for Global and International Studies, professor of sociology, and affiliate professor of religious studies at the University of California, Santa Barbara. He is an expert on religious violence, conflict resolution and South Asian religion and politics, and has published more than two hundred articles and twenty books. Dr. Juergensmeyer's widely-read Terror in the Mind of God: The Global Rise of Religious Violence (University of California Press, revised edition 2003), was listed by the Washington Post and the Los Angeles Times as one of the best nonfiction books of the year. He has been a frequent commentator in the news media, including CNN, NBC, CBS, BBC, NPR, Fox News, ABC's Politically Incorrect, and CNBC's Dennis Miller Show. 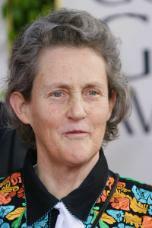 Temple Grandin is a distinguished professor of Animal Science at Colorado State University and is one of the world’s most accomplished and well known adults with autism. In 2010, she was named one of Time Magazine’s 100 Most Influential People of the Year. She lectures to parents and teachers throughout the U.S. on her experiences with autism. Dr. Grandin is the author of four books, including the national bestsellers Thinking in Pictures and Animals in Translation. Her most recent book is The Way I See It: A Personal Look at Autism and Asperger’s. The HBO movie based on her life, starring Claire Danes, received seven Emmy Awards. 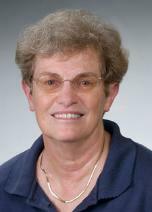 Mary Garrard is professor emerita of Art History at the American University in Washington, D.C. Best known for her groundbreaking feminist scholarship, Garrard has drawn on feminist theory and activism to illuminate and reinterpret art of the Italian Renaissance-Baroque period. Her publications include two books and other writings on Artemisia Gentileschi, work that pioneered modern scholarship on a major 17th century Italian artist. With Norma Broude, she co-edited four books on feminism and art history that have become basic texts in American universities. Garrard has lectured extensively on Renaissance art, feminist art, and feminist issues in universities, colleges and museums across the country. 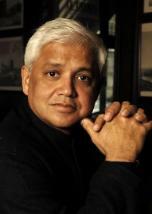 Amitav Ghosh is one of India's best-known writers. He was born in Calcutta, India. He studied in Delhi and Alexandria, and earned a doctorate in anthropology at Oxford. Dr. Ghosh’s books include The Circle of Reason, The Shadow Lines, In An Antique Land, Dancing in Cambodia, The Calcutta Chromosome, The Glass Palace, Incendiary Circumstances, The Hungry Tide, as well as Sea of Poppiesand River of Smoke which are the first two volumes of The Ibis Trilogy. Among the awards that Dr. Ghosh’s books have received are India’s Sahitya Akademi Award, the Ananda Puraskar, the IndiaPlaza Golden Quill Award, and the Crossword Book Award, Britain’s Arthur C. Clarke Award as well as France’s Prix Médicis. Dr. Ghosh’s work has been translated into more than twenty languages. His essays have been published in The New Yorker, The New Republic and The New York Times. He has taught in many universities in India and the USA, including Delhi University, Harvard, Columbia, and Queens College.